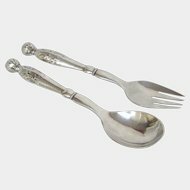 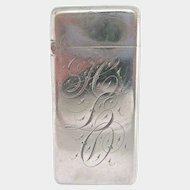 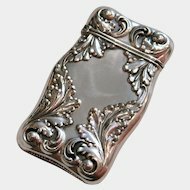 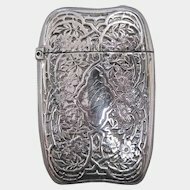 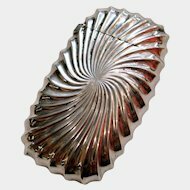 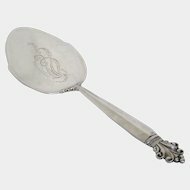 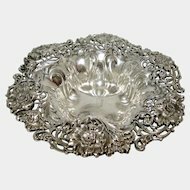 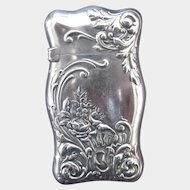 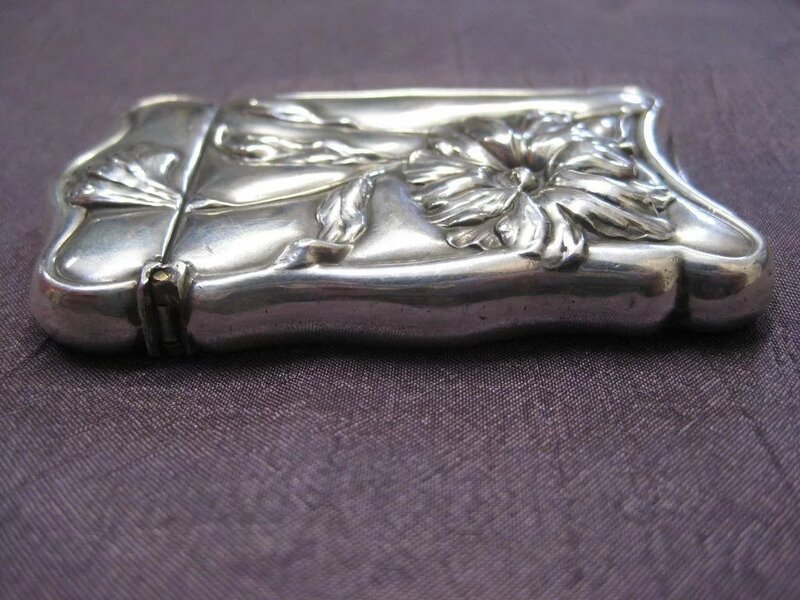 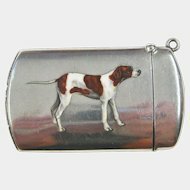 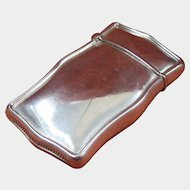 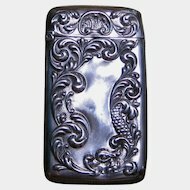 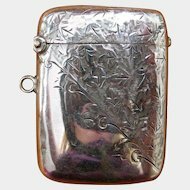 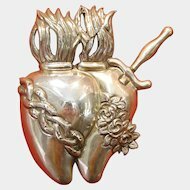 This is a gorgeous little sterling silver match safe, made in the Art Nouveau Period. 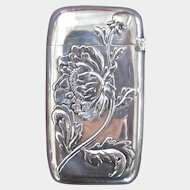 It has a simple design of three freesias in different stages of bloom on both the front and the back of the piece. 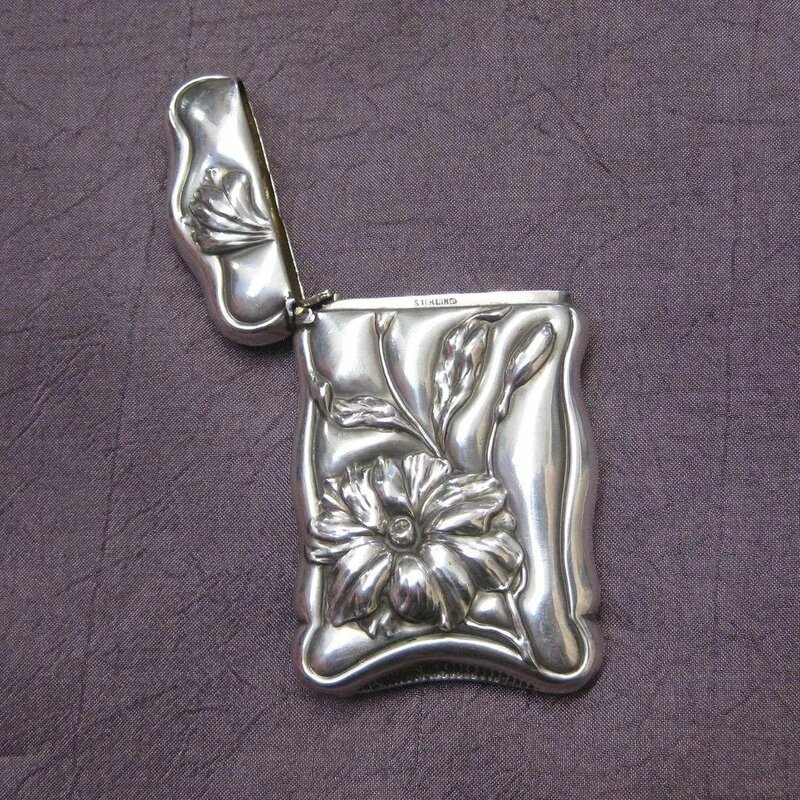 One is a bud, one is partially open, and one has fully bloomed. 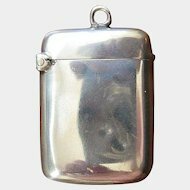 This match safe is in excellent condition with a working hinge and tightly fitting lid. 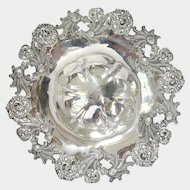 It measures 2 1/5" x 1 5/8" x 1/4". 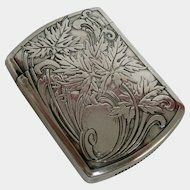 It weighs 26 grams, or 0.84 Troy ounces. 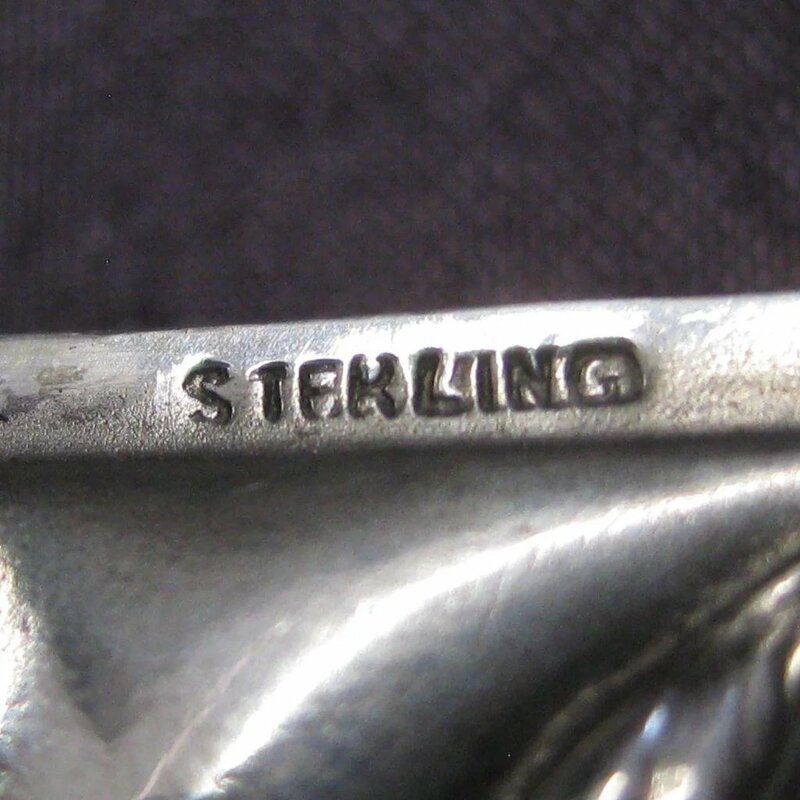 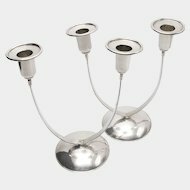 It is marked "STERLING," but there is no maker's mark.